Admission: $25; Students & Seniors $10; UIA Members free. 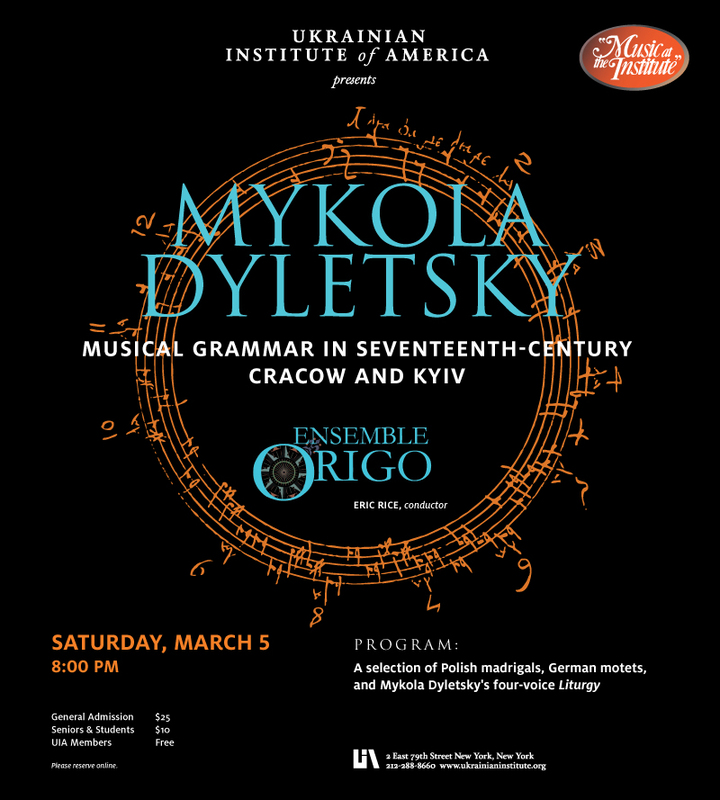 Hailed by the New York Times as “fine, flexible ensemble” early music Ensemble Origo will perform a selection of Polish madrigals, German motets and Mykola Dyletsky’s four voice Liturgy. Pre-concert lecture by Dr. Eric Rice at 7:00 pm.